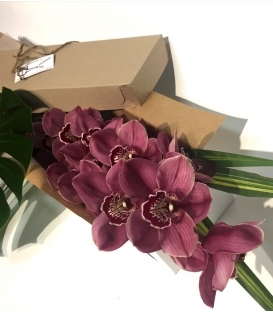 The perfect gift: A bouquet made by the florist Pourquoi Pas... Fleurs. Valentine B45 Modern bouquet with cymbium orchid from Asia. 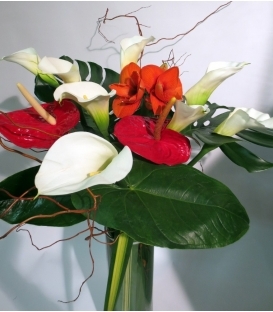 Designed with exotic foliage such as pendanus leaves and monstera leaf. An original bouquet for Valentine's day.